There has been a fall in the number of home movers in the UK which could be due to rising prices and costs such as deposits, new research suggests, while first time buyer numbers are up. Overall those moving home accounted for just under half, some 49%, of the housing market in the first six months of 2018 compared to 62% in 2011, according to the latest home mover review from Lloyds Bank. In the first six months of the year there were 170,000 home movers, a slight fall of 1% compared to the first half of 2017 and down 16% from the second half of 2017, the research also shows. It means that there are fewer home owners moving that first time buyers for the first time since 1995. 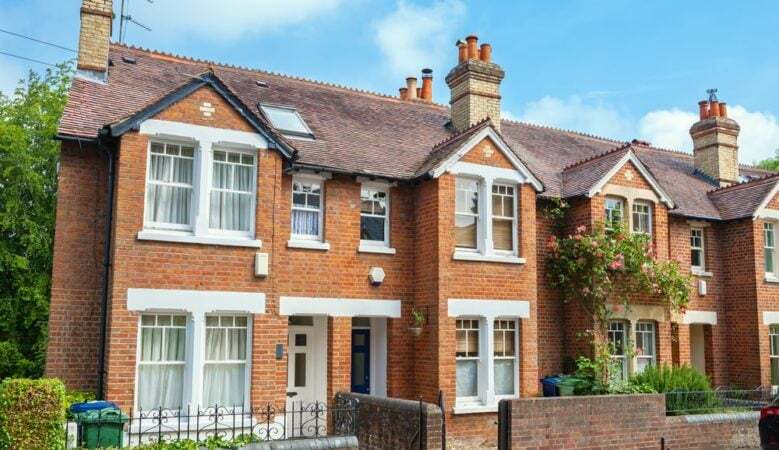 The report suggest that some of the reasons may be due to the average price paid by home movers increasing by 35% or £77,457 in the last five years and the deposit they need to get a mortgage has reached record highs. It also suggests that the fall in home owners moving could be connected with a lack of supply but the trend does also reflect the broader housing market which is showing little sign of movement. The fall in home mover numbers follows a rise in 2017, which reported the highest level of movers in 10 years. This also coincides with a 3% rise in first time buyers to 175,500. ‘Despite continuing low mortgage rates, the home mover market has stabilised with little movement in the first half of this year to leave first time buyers now driving housing activity,’ said Andrew Mason, Lloyds Bank mortgage products director. ‘This may be in part due to the Help to Buy scheme enabling first time buyers to purchase a new property, combined with the low availability of the right type of homes for those looking to move up the housing ladder,’ he explained. ‘The costs of moving house and potential further interest rate rises may also be weighing on potential home buyers’ minds. However, it is good to see the number of first time buyers increasing, helping to keep some movement along the property ladder,’ he added. A breakdown of the figures show that in East Anglia the average price a home mover pays has grown by 46% since 2013 to £305,612, the highest rate of growth in the UK. Greater London and the South East follow with 45% growth in average property prices since 2013. Greater London has the most expensive home mover properties with an average price of £566,200, followed by the South East at £412,759 and the least expensive home mover homes can be found in Northern Ireland with an average price of £170,031. The average deposit put down by a home mover has also increased by 31% in the past five years, from £76,303 in 2013 to £99,592 in 2018. Not surprisingly Londoners put down the largest deposit of £189,167 towards the purchase of their next home, which is nearly four times the average home mover deposit of £48,003 in Northern Ireland. However, whilst Londoners put down the highest deposit in monetary terms, home movers in the South West and East Anglia contribute the largest deposit as a proportion of average house price at 38% or £117,892 and £116,278 respectively, followed by the South East at 35%. The research also reveals that there are more outright home owners than those with mortgages. Of the estimated 23.1 million households in England, some 14.4 million or 63%) were owner occupiers. This remained unchanged in 201620/17. However, the composition of owner occupation rates has moved towards an increased proportion of outright owners at 34% versus mortgagors at 28%, and the research says this is partly explained by large numbers of baby boomers reaching early retirement age. So, whilst home movers with mortgages are stabilising, the bigger picture may be that this is in part because home movers who don’t need a mortgage are on the increase. In 2006/2007, some 72% of those aged 35 to 44 were owner occupiers. By 2016/2017 this had fallen to half 52%. While owner occupation remains the most prevalent tenure for this age group, there has been a considerable increase in the proportion of 35 to 44 year olds in the private rented sector, up 11% to 29%. The fact that the number of home movers has fallen behind those of firsttime buyers for the first time since 1995 reveals how the market is shifting, according to Craig Hall, new build manager at the Legal & General Mortgage Club. ‘Whilst it’s great to see a rise in the number of first time buyers getting on the property ladder, home movers are the ones who keep the cycle turning. If these numbers continue to decline this could create a bottleneck in the market,’ he said. ‘The stagnation we are seeing can be partially attributed to the lack of incentives for home moving, which is prompting many to improve not move. Stamp duty, legal and estate agent fees all add up and a lack of suitable housing for those looking to downsize is also an issue,’ he pointed out. ‘As an industry, we need to work together to stimulate fluidity in the housing ladder. There’s been a helping hand for first time buyers with Help to Buy, and maybe it’s time we start to focus on solutions for those further up the ladder as well,’ he added.